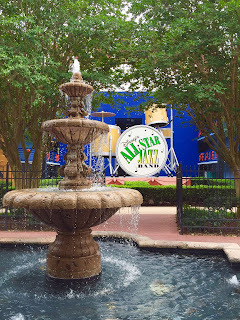 Today, I had the chance to walk around the All-Star Music Resort. Although it falls under the "value" classification, it has some of the best theming of any Disney hotel. This shot is from the Jazz section, so you see a New Orleans style fountain along with a giant drum set in the background.